Blurred lines: Can climate change-induced range expansion qualify a species as invasive? Management of fish and fisheries is a tough job. But, management of fish and fisheries with climate change will pose new quandaries that we have yet to encounter. This week’s Fisheries Blog poses a question as food for thought: Does range expansion from climate change qualify a species as invasive if it impacts resident native species in its new habitat? I do not know the “right” answer to this dilemma, or if there even is one. But I do know that many fisheries managers will be asked to make decisions on how to manage the impact of these range expansions in the not-too-distant future, whether or not there is a simple solution. So, this post will be comprised of many questions and, really, no answers. Please feel free to weigh in with your recommendations in the comments section at the bottom of the post. 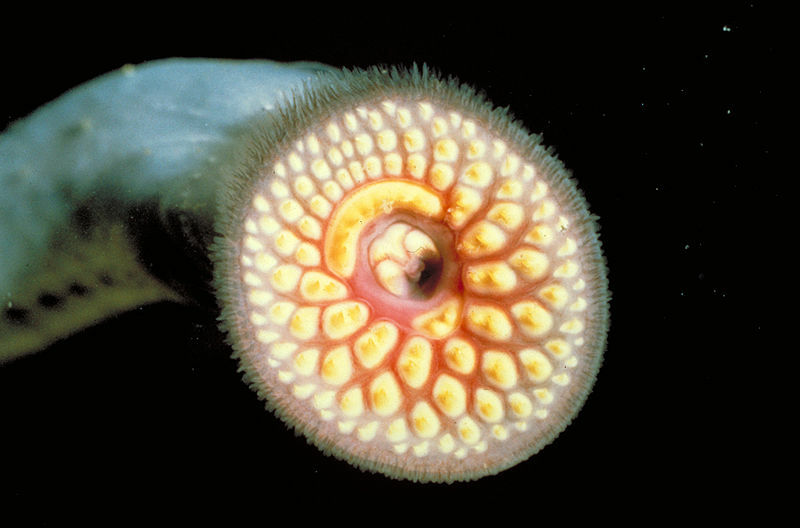 Sea Lamprey are invasive species in the Great Lakes. 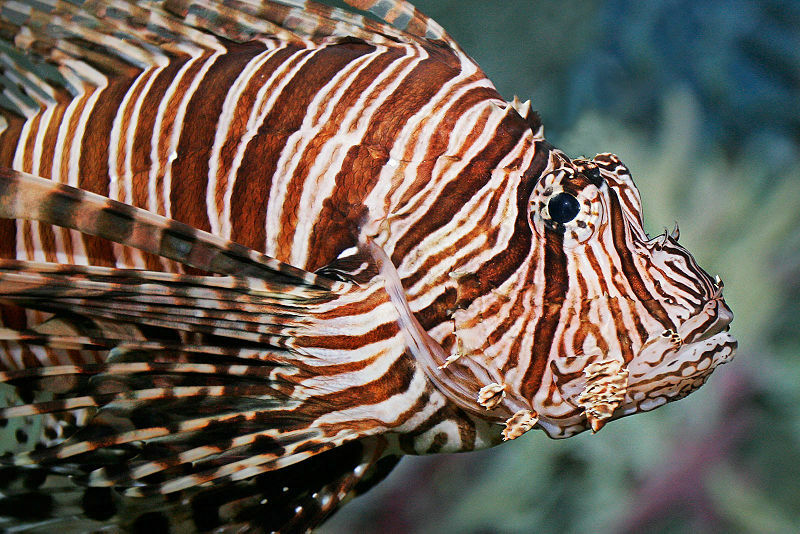 Lionfish are invasive species in the Atlantic, Caribbean, and Gulf of Mexico. So, while it is easy to pin-point that Sea Lamprey and Lionfish entered the ecosystem via anthropogenic means (construction of canal systems and release of aquarium fish, respectively), what happens when that anthropogenic influence is less direct? What happens if a species expands its range to a new habitat of its own accord? Is it a non-native species? There are many interesting examples of founder effects in evolutionary history where species have colonized new locations. But, what happens if the reason that a species can colonize a new location is anthropogenic? Smallmouth Bass (Micropterus dolomieu), for instance, are expanding their range northward into lakes across the northern U.S. and southern Canada. As piscivores, Vander Zanden et al. (2004) suggest they have the potential to dramatically reduce local, native minnow abundances. Sharma et al. (2009) further postulate that the reduced prey fish populations will impact resident Lake Trout (Salvelinus namaycush) which may be forced to switch to less desirable food resources. 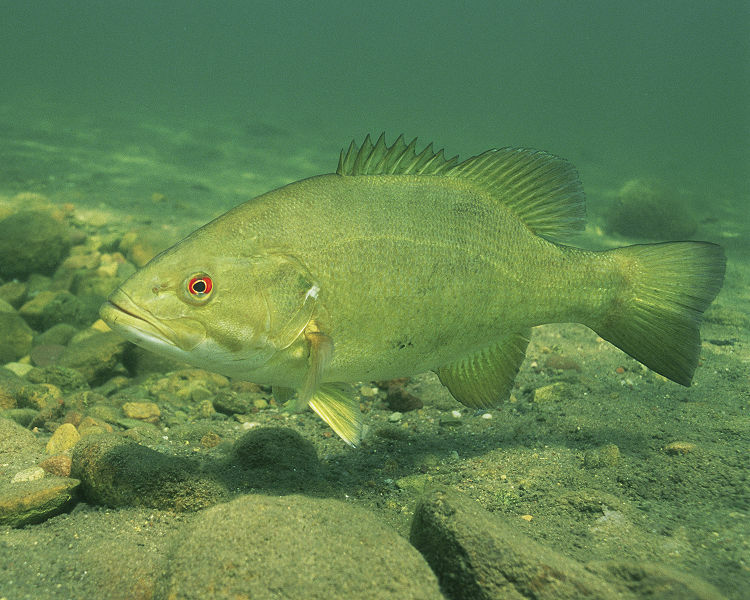 Will Smallmouth Bass be invasive if its range expands because of climate change? In the Smallmouth Bass example, managers will have to prioritize Lake Trout or Smallmouth Bass when making management decisions on these ecosystems. While Smallmouth Bass are likely to impact minnows and Lake Trout, managers will have to decide if Smallmouth Bass are causing economic or environmental harm or harm to human health. If they are causing harm, they could be considered an introduced species (non-native but non-harmful). But, if they are causing harm, that could be considered invasive. Then, should “nature be left to its own devices” or does the situation require human intervention? This question becomes further complicated when you add stakeholders into the equation. Smallmouth bass are considered a very popular freshwater sport fish and anglers will likely be excited to fish for them in these new habitats. Anthropogenic climate change is leading to their range expansion and they will likely impact the fish communities in their new habitats. Keeping in mind that these scenarios are very complex, consider this simplified hypothetical: Imagine you manage a lake with a trophy Lake Trout population threatened by Smallmouth Bass (through anthropogenic expansion). Your management budget only contains enough funds to 1) ignore smallmouth and continue necessary lake trout stocking, or 2) don’t stock lake trout and use funds to reduce smallmouth (but not eliminate them). There are a lot of blurred lines with climate change and no simple black-and-white answers. Do Smallmouth Bass qualify as an invasive species? Sharma, S., D.A. Jackson, C.K. Minns. 2009. Quantifying the potential effects of climate change and the invasion of smallmouth bass on native lake trout populations across Canadian lakes. Ecogeography 32: 517-525. You raise some important issues Dr. Lynch. Assisted migration and invasive species are tremendously interesting and important topics. 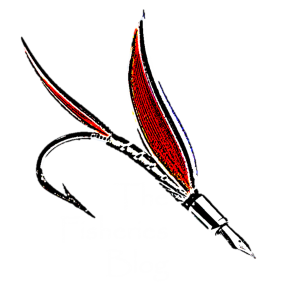 Dr. Dana Sackett mentions how climate change coupled with human driven fish movements is a contentious and difficult issue in the UK (https://thefisheriesblog.com/2012/01/30/to-interfere-or-not-that-is-the-question/). Yellowstone Park is also faced with difficult issues to save native species from a non-native invader using a massive amount of resources (https://thefisheriesblog.com/2012/05/16/cutthroat-conservation-saving-the-yellowstone-ecosystem/). That was a very interesting post, Dr. Lynch. As I research colonizations to the Arctic, perhaps facilitated by climate change, I can’t help but weigh in. The commonality between the terms colonizing, range expanding, and invading is “movement”; the difference is the perception of “harm” or potential impacts to novel ecosystems and their organisms. There are undisputed movements occurring, both northward and into higher elevations, which are likely facilitated by climate change. However, if we change the timescale from the immediate present and recent past to a more historical perspective, the current distribution of most fish species in areas that are currently being “invaded” is the result of post-glaciation colonizations. Perhaps it is not the colonizations themselves but rather the rapid rate of these colonizations that is most alarming. But is it the rate of change that makes a colonizing species “invasive”? Rather, it is the association of these movements with “harm” that creates those negative connotations. Shifting focus from an individual species to a broader ecosystem-level perspective may also change that perception of harm. Of course, the environmental conditions that are facilitating successful range expansions by opportunistic species are also likely negatively impacting native species and their prey. The northern extent of species’ ranges is moving northward; is the southern extent of those ranges also moving northward? After all, in a dynamic global ecosystem, species have three choices: move, adapt or die. Colonizations are inherently risky due to the potential impacts on novel systems, but they may also create opportunities. While this is a challenging issue for managers and resource-users alike, perspective is an important factor moving forward. As distributions often extend beyond management (and political) boundaries, and those distributions are changing, perhaps the broader question is: do we focus management on an area or a species? There are no easy answers.